The Food and Drug Administration (FDA) has granted 23andMe authorization to offer ten genetic health risk reports. Those reports include late-onset Alzheimer’s disease, Parkinson’s disease, celiac disease, and a condition associated with harmful blood clots. You may recall that in 2013, the FDA ordered 23andMe to stop marketing its personal genome service. At the time, the FDA was concerned about about potential health consequences for customers who received inaccurate test results from their DNA testing kit. The concern was that people would act on an inaccurate result, not knowing it wasn’t accurate, and make choices that might not be the best for their health. Since then, 23andMe has worked on demonstrating that its reports are easy to understand and analytically valid in order to meet FDA requirements. The recent FDA decision provides a clear pathway for submitting additional genetic health risk reports for the FDA’s consideration. 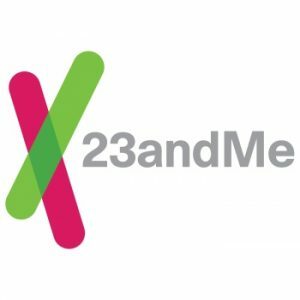 The result is that 23andMe is now the only company authorized by the FDA to provide personal genetic health risk reports without a prescription. Alpha-1 Antitrypsin Deficiency (AATD) – A genetic condition that can lead to lung and liver disease. It is caused by decreased levels of alpha-1 antitrypsin (AAT) enzyme. Celiac Disease – A condition that is characterized by bloating, diarrhea, and abdominal pain after eating gluten. Early-Onset Primary Distonia (DYT1/TOR1A-Related) – Early-onset primary dystonia is a rare genetic condition characterized by involuntary muscle contractions and other uncontrolled movements. Factor XI Deficiency – A condition also known as hemophilia type C. It is a bleeding disorder caused by abnormally low levels of a protein called factor XI. G6DP Deficiency – A common genetic condition characterized by episodes of anemia. People with this condition often have no symptoms unless triggered by certain factors. Gaucher Disease – A rare genetic disorder that can affect many organs. The most common form of this condition is Gaucher disease type 1, which often leads to an enlarged liver and spleen as well as bone abnormalities. Hereditary Hemochromatosis – A genetic condition in which the body absorbs too much iron. Hereditary Thrombophilia – It is a predisposition to developing harmful blood clots. Late-Onset Alzheimer’s Disease – A disease characterized by memory loss, cognitive decline and personality changes. Parkinson’s Disease – A disease characterized by problems with movement, tremor and muscle stiffness. This report includes two genetic variants associates with a risk factor for Parkinson’s disease.